Accurate low-flow measurement. Long-lasting performance in harsh environments. Need reliable, durable flow measurement in high-pressure, high-temperature or hazardous process settings? The MT3750 metal tube variable area low flow meter from Brooks Instrument is your hard-working answer. 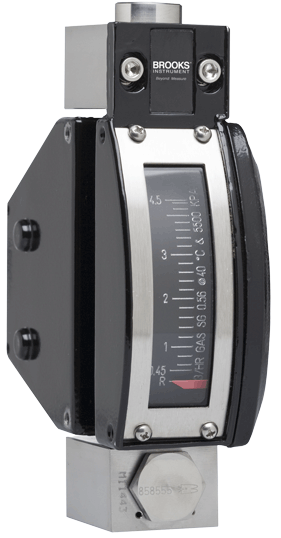 Constructed from high-strength steel, the MT3750 Series VA low flow meter features a compact design and multiple threaded and flange connection options to make it easier to install and integrate into existing plants, as well as a cost-effective replacement for glass tube flow meters. Certified explosion proof, our low flow liquid flow meters also offer optional transmitters or inductive alarms for more advanced flow measurement and process data capture operations.